In deep-red Texas, abortion opponents are already eyeing the new U.S. Supreme Court vacancy as a chance to push more aggressive legislation without fear of judicial override. With the retirement of the U.S. Supreme Court’s critical swing justice, deep-red Texas has its best chance in decades to push anti-abortion measures without fear of judicial override. 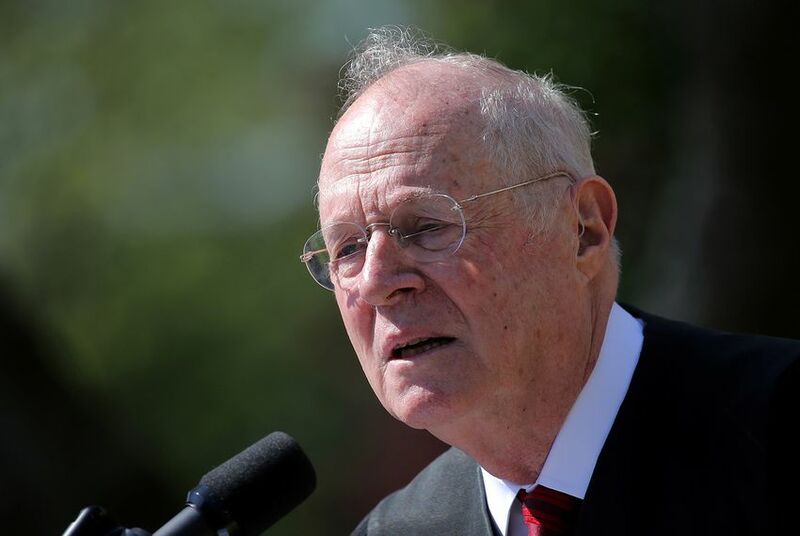 Justice Anthony Kennedy, a longtime centrist fixture on the high court, announced Wednesday that he’ll retire next month from the U.S. Supreme Court. In a state where abortion remains a wedge issue even 50 years after the Texas case Roe v. Wade declared it a constitutional right, abortion opponents and lawmakers have already started eyeing that vacancy as an opportunity. Kennedy’s absence — and his replacement, who’s likely to be more conservative — gives abortion opponents fresh motivation to push new abortion restrictions and maybe even pull back rights the court has previously defined. Texas Right to Life is already gearing up for the 2019 legislative session with more aggressive anti-abortion legislation, Seago said. Kennedy’s retirement means “a paradigm shift,” said state Rep. Matt Krause, a Fort Worth Republican who counts himself among the most anti-abortion members of the Texas Legislature. “There is an opportunity now, an opening to see those stronger pro-life policies withstand judicial scrutiny,” Krause said — especially if President Donald Trump appoints a justice “more in the mold of [conservative justices] Alito and Gorsuch and Thomas than Kennedy.” Trump has promised to nominate a judge who would vote to overturn Roe. It’s not yet obvious where, exactly, that opportunity will take Texas. Four states — Louisiana, Mississippi, North Dakota and South Dakota — have “trigger laws” that would automatically ban abortion if Roe is overturned, according to the Guttmacher Institute, a reproductive health policy organization. Ten other states have pre-Roe abortion bans still on the books. In Texas, the situation is different. The Legislature has several times weighed trigger laws — including one in 2007, authored by now-Lt. Gov. Dan Patrick, a Republican who represented Houston in the state Senate at the time — but has not passed one. But Texas never repealed its ban on abortion, even after the high court specifically struck it down in Roe more than four decades ago. Experts differ on whether, in the absence of the Supreme Court restriction, that ban would immediately become effective again. In any case, a Roe reversal would likely prompt new legislation, a new lawsuit or both. "I do think there are quite a few in the Legislature who would like to end the practice altogether, and I've always been one of those," Krause said. That coalition is likely to win support from Texas’ top officials. Even before Kennedy’s retirement announcement, the state’s Republican leadership has long presented a strong, united front against abortion. Still, reversing Roe and outlawing abortion entirely is a lofty goal, one that feels ambitious even for staunch advocates like Pojman. Even if Kennedy’s replacement hews to the Republican Party line, it’s not clear the court would have the five votes necessary to overturn the landmark ruling; Chief Justice John Roberts said in his September 2005 Supreme Court confirmation hearing that Roe is “settled” law. Amy Hagstrom-Miller, who heads Whole Woman’s Health, said Roe is unlikely to be overturned entirely, but it will be rolled back by aggressive anti-abortion litigation. For Texas, that could mean judicial approval for limitations that would have been struck down by a court with Kennedy at its fulcrum. There are already a handful of Texas abortion cases in the federal pipeline that could land before the high court. In November, for example, a federal judge in Austin struck down part of a new Texas law that restricted access to one of the most common second-trimester abortion procedures. That case has been appealed to the 5th U.S. Circuit Court of Appeals, leaving it just one appeal away from Supreme Court review. And just this month, a group of abortion rights groups filed a sweeping federal lawsuit against the state, aiming to roll back decades’ worth of abortion restrictions that advocacy groups call overly burdensome. Their case leans heavily on the 2016 Supreme Court ruling against Texas, in which Kennedy cast his critical vote with the liberals. Similar lawsuits — which Hagstrom-Miller calls attempts at “comprehensive repeal” — have been filed in Virginia and Indiana as well. Still, those lawsuits could backfire on abortion rights groups if they reach a Supreme Court less sympathetic to their arguments than the one that included Kennedy. Outside state lines, there are a host of other lawsuits whose impacts would be likely to make their way back to Texas. A handful of states are in court to defend so-called “heartbeat” laws, which prohibit abortion once a fetus’ heartbeat can be detected — sometimes as early as six weeks. Should those laws be upheld by a new slate of Supreme Court justices, Texas’ current political leaders would likely support taking up similar restrictions, advocates said. While it’s not year clear exactly how anti-abortion efforts will fare in the coming months, Kennedy’s retirement has re-energized the anti-abortion movement, advocates said. Claire Parker contributed reporting from Washington, D.C.